A landline telephone is something that seems almost extinct with the billions of cellphones that are carried everyday, but we often overlook the benefits of having a landline telephone. In our VTech Dual Handset Cordless Answering System review, we look at the benefits of having a landline and how much more affordable it can be. I am most often thankful for my mobile phone – or cell phone, if you prefer – when I’m on the road. It’s become a convenience that I can’t live without. Or refuse to live without, I’m not sure which. As soon as the technology became such that everyone could own one, landlines became a joke, a representation that you were too poor to own a cool new technology or that you were old-timey and refused to move with the times. I actually remember having friends come to my house and being embarrassed that we owned a *gulp* landline. Tell me that you felt the same way! Or, you’d go to a friend’s house and giggle if you saw a telephone hanging from their wall. 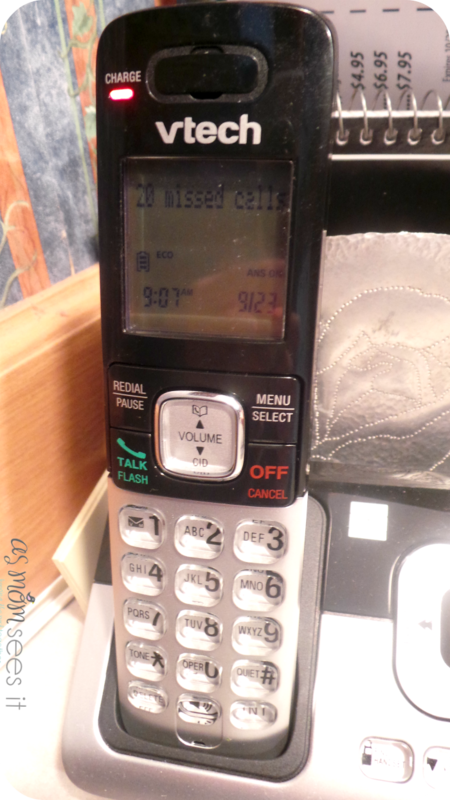 There are days, especially those when I get my cell phone bill, that I long for a landline. The more I think about it, the more it makes sense. 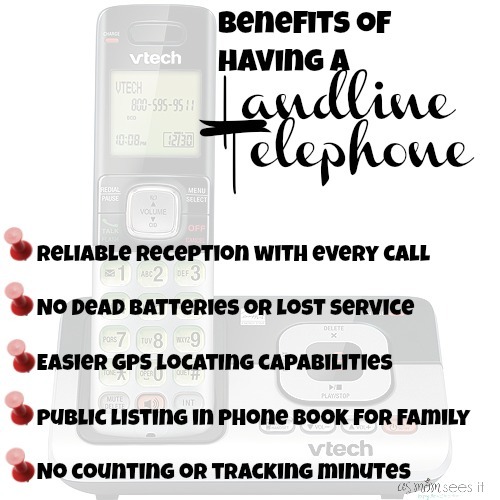 There are so many benefits to having a landline telephone system like theVTech Dual Handset Cordless Answering System. Lately, the most important of these is the fact that my teen loses his phone constantly and I need to keep in touch with him when he’s home and I’m not. I like the VTech system because it has a speakerphone for conference calls and both ends can speak at the same time – no more cutting each other off. Also, two words – Caller ID. A must have. Having Call Waiting is nice, especially since it displays the name, number, time and date of incoming calls on an easy-to-read illuminated LCD display screen. Our awesome friends at VTech are giving away a VTech Dual Handset Cordless Answering System to one of our As Mom Sees It readers – along with a $100 Walmart gift card! Originally published on 2013-09-23 by Dusty Bastian at As Mom Sees it .